Behind almost every great album is an important story of how it was made. For Living Colour’s latest, “Shade,” that defining moment came in March 2012 when the New York alt rock-funk-metal fusion act was invited to play the 100th birthday fete of legendary bluesman Robert Johnson, held at Harlem’s famous Apollo Theatre. The band’s amped up, Hendrix-style cover of Johnson’s “Preachin’ Blues” makes the final cut of “Shade” - due Sept. 8 - as do songs like the traditional modern blues format of “Freedom of Expression (F.O.X. ),” soulful New Orleans boogie track “Who’s That” and electric guitar-and-vocal wailer “Two Sides.” There’s also a hair-raising rock take on rapper Notorious B.I.G.’s polarizing hit “Who Shot Ya” and a cover of Marvin Gaye’s “Inner City Blues” that vibrates between down-tempo jazz and hard rock riffs. All 13 tracks were the result of very calculated moves over the span of five years in the studio by the band (also including drummer Will Calhoun and bassist Doug Wimbish) and long-time producer Andre Betts to explore the thread of the blues in influencing so many stylistic descendants. 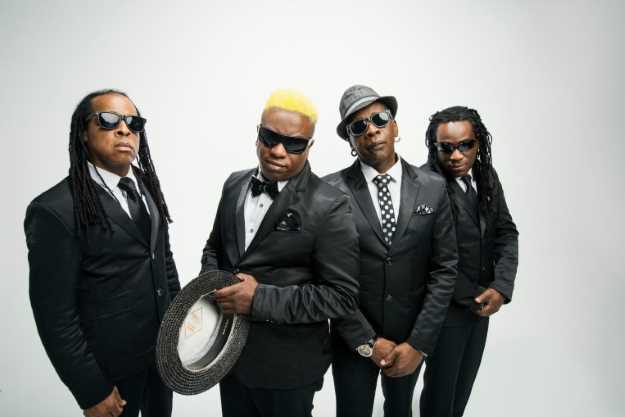 Living Colour has never shied away from adding to important societal discourse through music, especially being one of the only all-black heavy rock bands in the ‘80s to have primetime exposure. Almost 30 years ago, with the help of early champion Mick Jagger, they first made waves with their breakthrough single, “Cult of Personality,” a dynamo piece of work featuring searing riffs from Reid and the melodic vocal honey of Glover while also making a statement under the covers. Sampling from a speech by Malcolm X and the Inaugural Addresses of both Franklin Dr. Roosevelt (in 1933) and that of John F. Kennedy (in 1961), the song (and its title) define the complex psychology and mass media paradigm behind modern politics. Three decades later, “Cult of Personality” is just as relevant in 2017, though Reid says there was plenty more ground to cover on “Shade,” the band’s first album in a very defining eight-year period. The decision to also include the cover of “Who Shot Ya” (which first appeared on an EP last fall) was a reaction to the rampant gun violence in America.